Mats Hummels stormed to victory in the centre-back polls to become the second Borussia Dortmund representative in the Team of the Season. The FIFA World Cup-winning centre-back was the overwhelming favourite to partner his international and soon-to-be club teammate Jerome Boateng at centre-back. Hummels took 66 percent of the combined vote across English and German Twitter accounts. Borussia Mönchengladbach's Andreas Christensen was the runner up with 12.5 percent of the combined vote, though he was third behind Bayer 04 Leverkusen's Ömer Toprak on the English side of the contest. 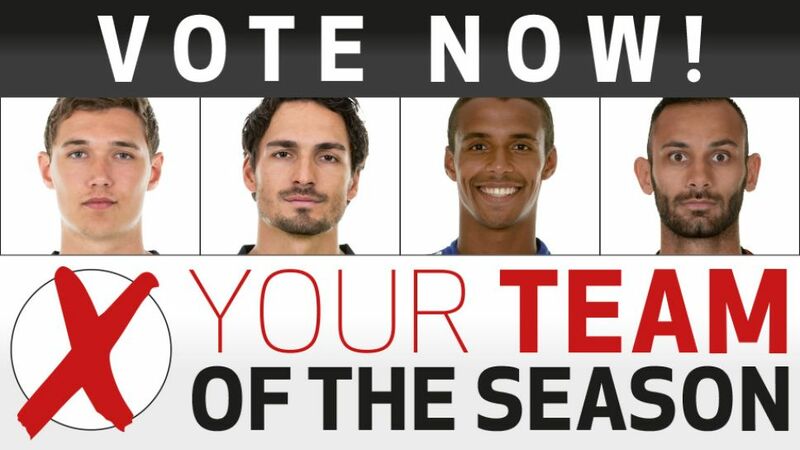 FC Schalke's Joel Matip limped home in fourth place with 9.5 percent of the total votes cast.